Have you ever tried visualizing how a really complex product works from reading a long, detailed description of it? How did you do? Probably not too well, we’re guessing. Don’t worry, it’s not your fault. Studies show that the brain processes visual data a whopping 60,000 times faster than text. 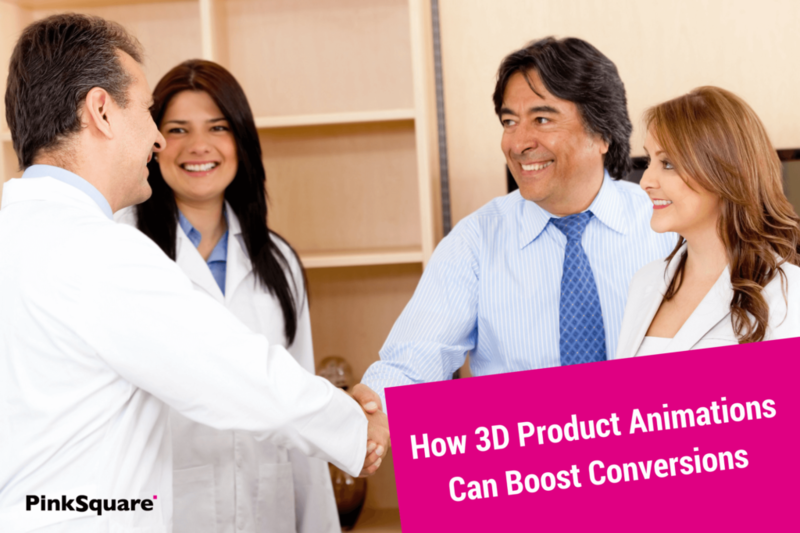 Because of this, 3D product animation videos can make your potential customer understand and visualize complicated, complex products in minutes or mere seconds. And when the potential customer understands how your complicated product works, they are a lot more likely to drop the “potential” part and become a paying customer. Do you want a real life example? Codan Rubber A/S is an enterprise with a long history in rubber technology, providing customised solutions for handling of gases and fluids for automative and industrial equipment manufacturers. Does that sound like complex, complicated products to you? If not, you are currently on the wrong page. You can go watch cute cat videos on Youtube now. But if, like most people, you would head for the hills from reading a description like that, consider having Pinksquare do for you what we did for them. To put it bluntly, with 3D product animation Codan Rubber A/S was able to take their product descriptions go from level I-don’t-quite-get-this to level oh,-that-makes-sense, thereby skyrocketing their chance of turning clicks into conversions. By including the video on their news section, Codan was able to show all returning and new readers exactly how their innovative hoses could be applied to their products. In turn Codan now has a valuable piece of content that is engaging and education their customers at the same time. For every company that has a technical product, it should be the aim to create this kind of content for their website, social channels and all other marketing activities. Okay, so maybe you can’t touch to product as such, but you can play around with it, spin it around, twist it, turn it, just like you would do if you were in a store holding the product in your hand. With 3D animation, sometimes you can even slice the product open to take a peek inside (something we strongly advice against trying in a store!). With a high quality product animation, if they want a closer look, they’ll zoom in and take it. But if you advertise your product with just pictures, or – gasp! – no visuals at all, the customer is limited to only getting the few glimpses of the product that you have chosen to put on display. If the customer feels they have experienced the full product, clicks are much more likely to become conversions. 3D animations also work well for flashing the overall style of your brand. The video can set a mood, create ambiance, sell a lifestyle, all the while showcasing your product from every angle. By the end of the video, the customer will have an understanding of your vision and brand, and possibly already have envisioned themselves as part of the world your flashed. Increased website traffic has the potential to lead to a boost in conversions – the keyword here being “potential”. So how do you make sure all the hard work you’ve poured into increasing your website traffic actually leads to sales? Increasing traffic alone won’t do it. For a starter, once you’ve got the potential customer onto your website, you have to keep them there for long enough for them to fall in love with your product or brand (or at the very least long enough for them to realize that your brand and product is pretty neat). This is the also where 3D animations can really help: The story locks them in. Once, a gentleman was walking through an elephant camp and he spotted that the elephants weren’t being kept in cages or held by the use of chains. All that was holding them back from escaping the camp, was a small and thin piece of rope tied to one of their legs. As the man gazed upon the elephant, he was completely confused as to why the elephants didn’t just use their strength to break the rope and escape the camp. They could easily have done so, but instead they didn’t try to at all. The trainer replied: the only reason that the elephants are not breaking free and escaping is because… is it annoying if I just stop the story here? Of course, it is, because you see, I just raised your cortisol levels, and now you want to know how the story ends and what the moral is. This is how stories works: They captivate the audience, keeping them engaged for exactly long enough to learn what you want them to know about your brand or product. But unlike asking your potential customer to read a story (which they are unlikely to do freely), they are much more likely to agree to a story in video form. The reason is simple: By the time they realize what they agreed to, they are already deeply engaged in the story. Your potential customer won’t know what hit them. Video makes people curious – they want to see what your product is, how it works and what may be inside. So, once they’ve clicked the video, they will watch it till the end, because that’s the nature of the good story. Keep them on the page, turn those clicks into conversions. By the way, the elephants did not try to escape because when they are very young and much smaller, the trainers use the same size rope to tie them and, at that age, it’s enough to hold them. As the elephants grow up, they are conditioned to believe they cannot break away. They believe the rope can still hold them, so they never try to break free. Moral of the story: No matter how much the world tries to hold you back, always continue with the belief that what you want to achieve is possible. Believing you can become successful is the most important step in actually achieving it.